Body 100% polyester Peak 100% cotton6 panel snapback cap design for adjustable sizingTwill canvas fabric with eyelets for ventilation3D embroidered Nike SB logo on frontContrast black bill snapback closure and center pin yellow logoNike SB print tape lining the seams small woven Nike SB label on back :: Men > Hats and Caps. Added breathability with embroidered eyelets to sidesNike SB logo embroidered to frontSix-panel designMen's Nike capOne size fits most with snap closure to backDo not washSix-panel designNike SB logo embroidered to frontAdded breathability with embroidered eyelets to sidesDo not washMaterials: 100% Polyester. Back of front panel: 80% Polyester. 20% Cotton.\n Bill: 100% CottonOne size fits most with snap closure to backMen's Nike capFlat brimMaterials: 100% Polyester. Back of front panel: 80% Polyester. 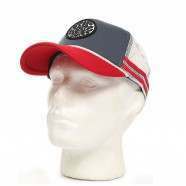 20% Cotton.\n Bill: 100% CottonFlat brim Size: one size.